In my normal Lightroom workflow, I normally get home from a shoot and have to instantly start uploading images and creating catalogs. The reason why I have to do this is because of just how long it takes Lightroom to import images into a catalog. If I want to be able to jump right into editing the next day, then I have to start the import process the day before and just let it run overnight. Otherwise, I would just be sitting around the next morning waiting for Lightroom to finish working. 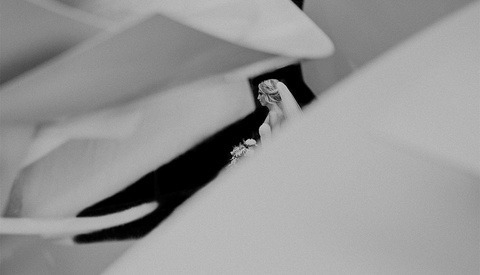 With ON1 Photo RAW, this process is so much faster and painless. Instead of importing images and waiting for image previews to be created, ON1 uses the embedded JPEG that is part of the raw file. So when you click on a folder, the images are instantly there. This allows you to instantly start sorting through images. When scrolling from image to image, there is no lag as the next image is brought up. This allows you to cull through images at a much faster pace. If there are a group of images you want to compare, you can easily select the group and compare to one another. This includes zooming in to check focus on all the images. 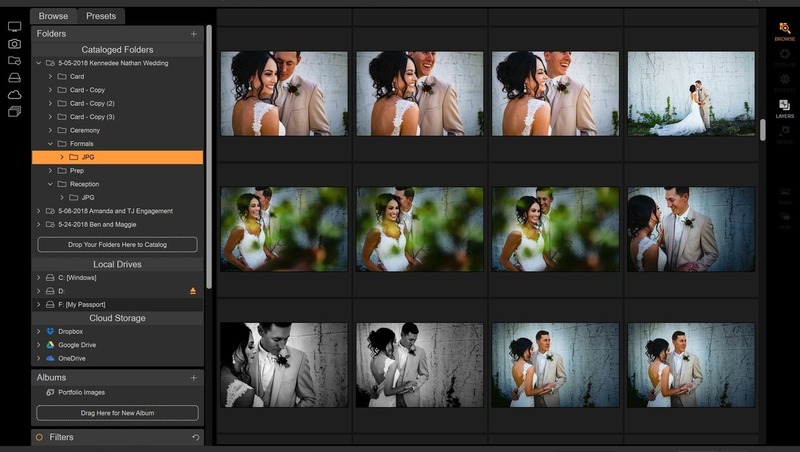 From within the browse panel, there is also a host of options for grouping and sorting your images. 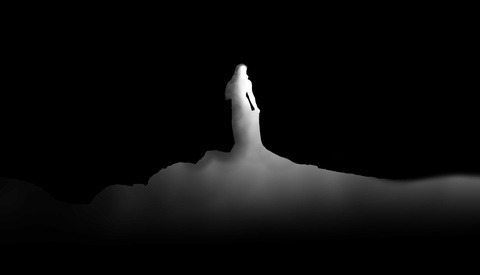 My favorite way is to leave all the images inside their respective folders as they are placed on the hard drive. But the cool thing with this is that I can set certain folders as a cataloged folder. This is basically like marking a folder as a favorite. This allows me to set all the photoshoots that I have to edit as a favorite so that I have a running list of what I have to do along with quick access to these specific folders. You can also create albums based on various sets of criteria. For example, when I mark portfolio worthy images a 5-star, I can have an album created that will group all the 5-star images throughout any folder automatically. So I no longer have to rummage through Lightroom catalogs looking for my favorite images. 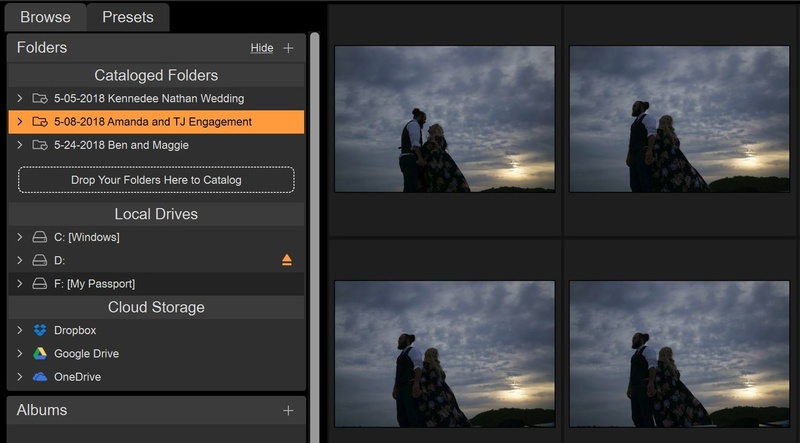 While a lot of these features have a respective counterpart inside Lightroom, the speed and ease of which you can perform these tasks in ON1 are on another level. I also love that I don’t need to create catalogs and wait for importing images. Another great thing is that if you are partial to editing in Lightroom, you can still use all the browsing features of ON1 and have them sync up with Lightroom. It’s still a great way to speed up your workflow so you no longer have to deal with the sluggish Library module inside Lightroom. 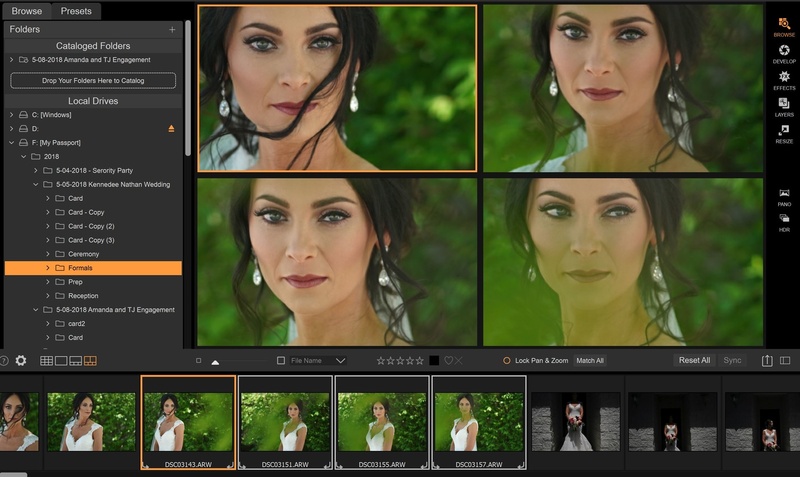 In addition, ON1 is also releasing an update that has some promising feature additions and this update is free to anyone that has purchased ON1 Photo RAW 2018. Anyone else using XnviewMP? I’m impressed with its speed and its free. Been using ut before going into Lightroom lately. Yes, importing raw photos in to Lightroom better be done the night of the event if you want to start working the next day. I usually plug in the memory cards and let LR do its work while I go to sleep. It takes way over an hour for an average wedding, sometimes much longer. I always hated the catalog system, it's confusing and makes things much more cumbersome. I'm not fully sure what people mean when they talk about Lightroom being SO slow. I have a 2012 iMac running the latest version of Lr. I copy the images (using the finder) to my internal SSD (or even external SSD) and then import (using the add setting) using the embedded preview. I can see the images a few seconds after importing. 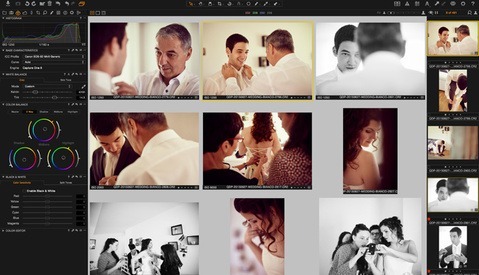 I think the trouble is that people are letting Lightroom actually copy the files from the card, no? I work in places where 1500 images in a 20 minute period is the norm. And, yes there are people using this ham-handed program called Lightroom to edit and create these useless 'catalogs' and try and edit images. But the 'old guys' in the media room stick and stay with two basic tools. Photo Mechanic & Photoshop.... Why? Let me explain. You're trying to do 3 things in this. 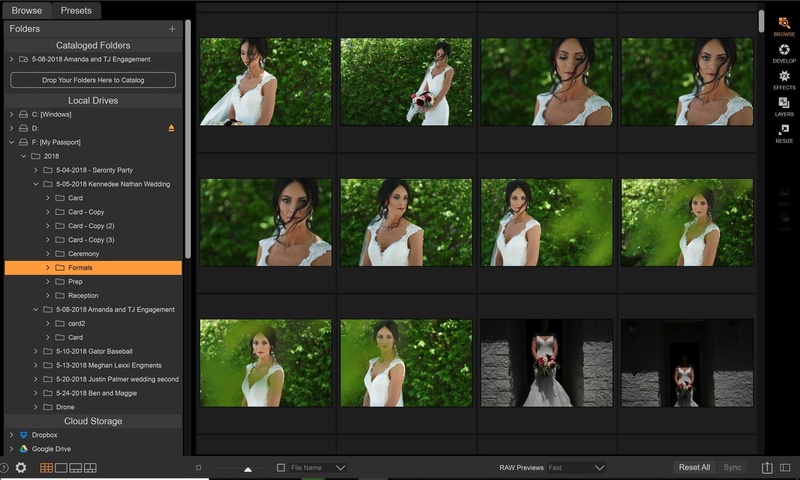 Browse and Cull, place detailed info into the EXIF, and finally export those into your editor. And do so very quickly with exceptional results. Lightroom is SLOW. despite their tinkering and coding, it's going to remain slow. The addition of important EXIF to a series of images is to say the least -- arduous and frustrating inside Lightroom. And lastly, the ham sized brushes inside Lightroom, and the inability to layer, select, and export to a variety of formats and places just makes all of this a non-starter. Oh -- don't think we as venue shooters don't debate the living hell out of this topic. We do. But in the end, even after some dolt tries to pull out his Alienware laptop to 'show us all how it's done'.. In the end, the old guys win the debate. If you are not in a familiar place with Camera Bits Photo Mechanic and you do have a ton of culling and fast editing to do. You should check them out. I work on a PC and I initially review images in a program called Fastone Image Viewer. Although it has some basic processes, the real attraction for me is quickly being able to view a lot of images. The Bridge sub-application of Photoshop works best for me to initially screen photos and then assign them to collections and add keywords. However, I seldom have more than 100 photos to process at one time.